Winchester, VA (Frederick County) – April 16, 2018 – Waters Retail Group, Southeast Pennsylvania’s premier development, management, leasing, and brokerage firm, has leased 2,800 square feet of retail space in the Apple Blossom Convenience Center to United Dental Arts. United Dental Arts Winchester location, which will open in the Fall, will offer general dentistry, Invisalign, traditional metal braces, dental implants, laser treatment, wisdom teeth surgery, and sedation dentistry. 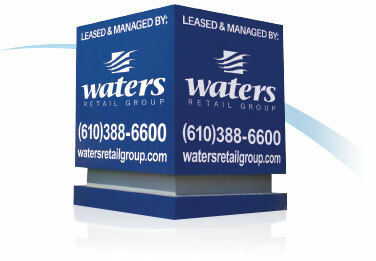 Joe Waters & Kevin Donahue of Waters Retail Group represented the landlord in the transaction. The Apple Blossom Convenience Center is located at the intersection of S. Pleasant Valley Rd. and E. Jubal Early Dr. in Winchester, VA. The 53,700 square foot Shopping Center is anchored by Best Buy and Valley Health Systems Urgent Care Center, and shadow anchored by Walgreen’s Drug Store. Other tenants include the Foot Care Center, Valley Health Winchester Family Practice, Edward Jones, and Elegant Nail Spa. For more information please visit Apple Blossom Convenience Center, or contact leasing agent Joe Waters at 610.388.6600.